KML is the Keyhole Markup Language--items are tagged just like in HTML. KMZ is a compressed (.zip) kml plus any images. 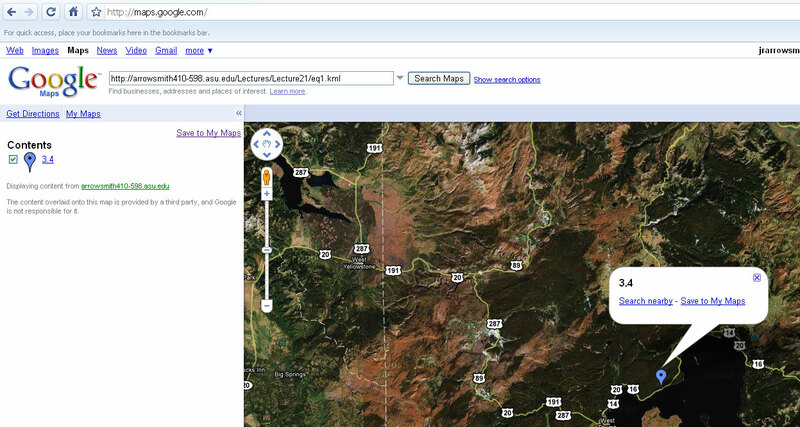 A Placemark is one of the most commonly used features in Google Earth. It marks a position on the Earth's surface, using a yellow pushpin as the icon. 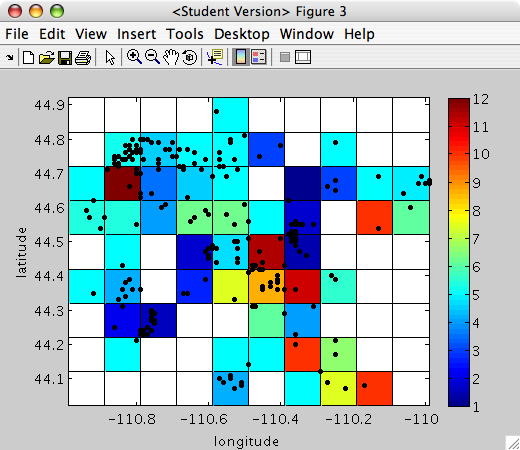 For our example, we will use the Yellowstone Earthquake data with which we worked so much at the beginning of the semester. 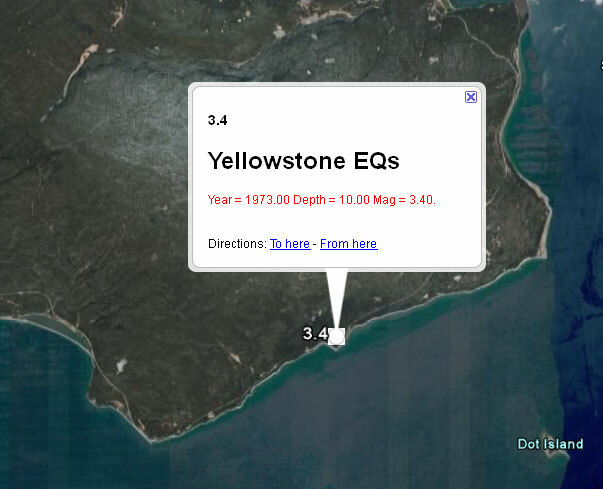 Here is the Yellowstone Earthquake file. How about changing the icon? Now how about the entire dataset? 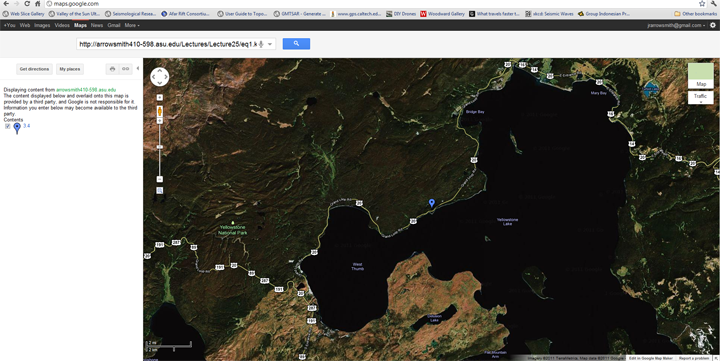 Another feature you may want to test drive in Google Earth is the ground overlays. These are images (in BMP, GIF, TIFF, TGA, and PNG formats) can be "draped" over the landscape. 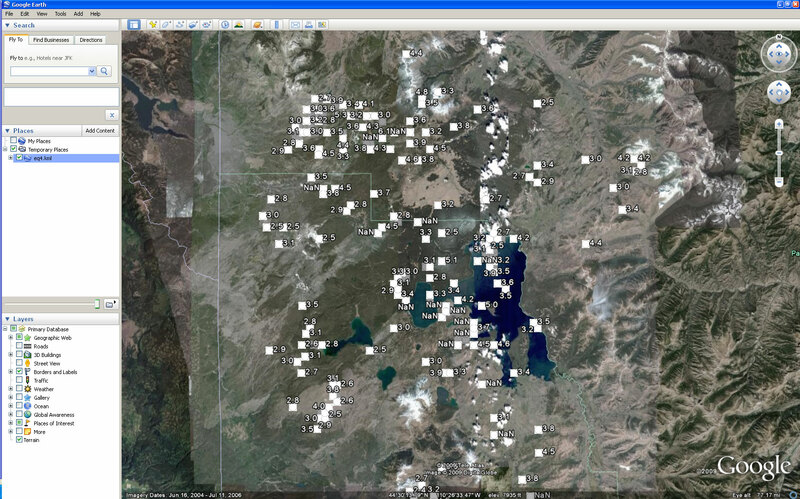 We will again use the Yellowstone Earthquake data to demonstrate how some of our images we have made can be imported into Google Earth. The first thing we need to think about is "how do we georeference our image". We will need to define the EXACT bounding box for the image. To make this easier, I will constrain my figure to the borders of my axis. New tags for overlays that were not in the last section. An Icon contains href which links the image for the overlay. A LatLonBox specifies where the top, bottom, right, and left sides of a bounding box for the ground overlay are aligned. A more complex kml for teaching geologic hazards: http://activetectonics.la.asu.edu/GLG110/GLG110_2004_Tsunami_videos.kml (put into google maps). 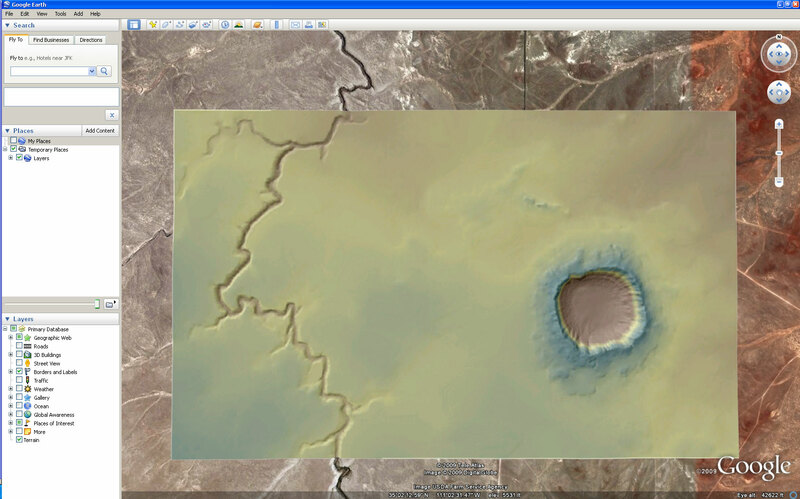 Other KMZs of high resolution topography are here: OpenTopography kmls. 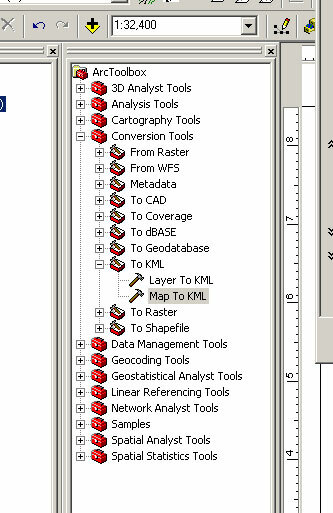 This tool converts a map file (MXD file) to a kmz. 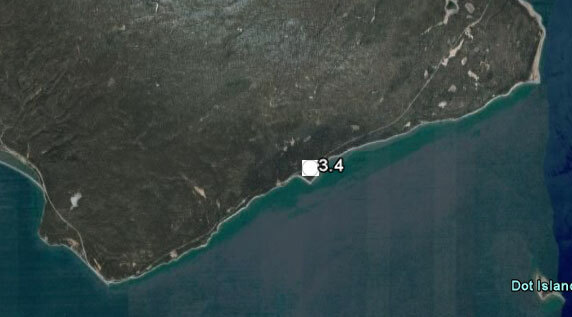 The scale setting tells it to show the image at that scale and larger (i.e., more zoomed in). 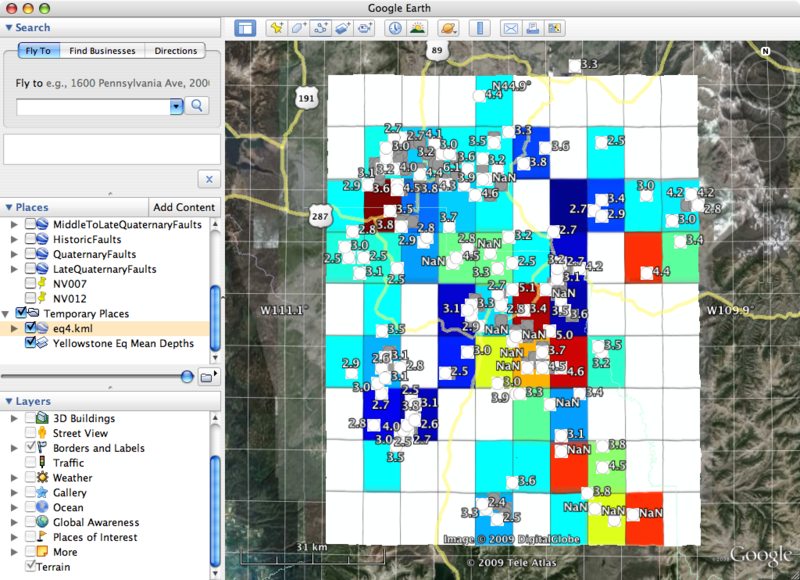 Making a single composite image collapses layers in the MXD file to a single image in the KML file. This works similarly in Arc10. 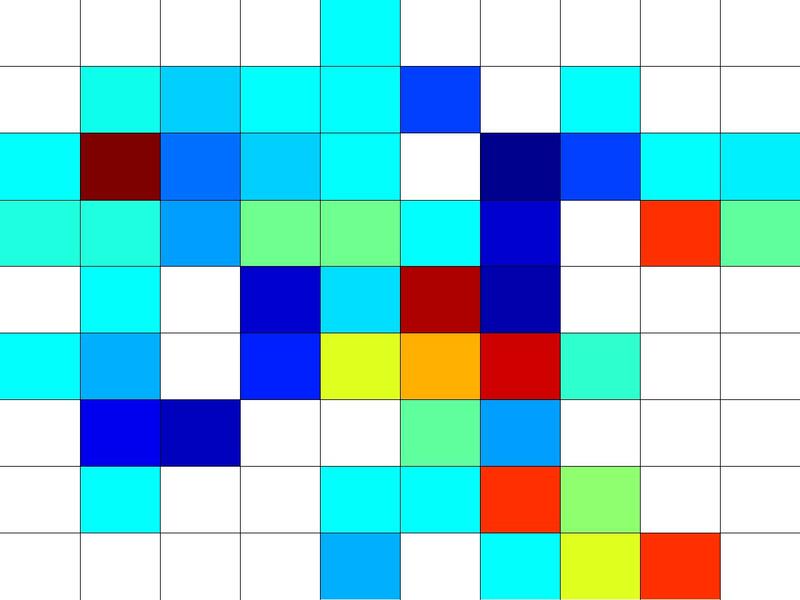 The quality of the output rasters in the kml is not very good (See this thread). The trick is to use superoverlays and regions: http://code.google.com/apis/kml/documentation/regions.html.